Six mattresses are put outside students’ rooms in Ayers College of Commerce and Industry. Many students in CCI found mold on the bottom of their mattresses. Many students in Ayers College of Commerce and Industry have found what appears to be mold on the bottom of the mattresses, and some did not sleep in their beds while staff worked to clean them. 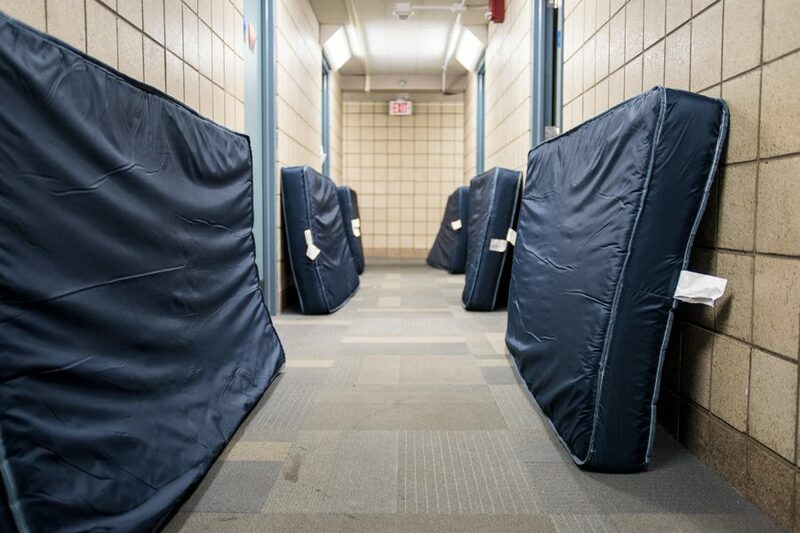 Medill freshman Rahul Parikh, a CCI resident, said both he and his roommate found potential mold on their mattresses after seeing other students’ mattresses in the hallway. Several mattresses were taken out of students’ rooms in CCI on Sunday night to be cleaned, Parikh said. Parikh said on Sunday night that he would not be able to sleep in his own bed. Paul Riel, assistant vice president for residential and dining services, said administrators are not sure what the substance is and said it might not be mold. Samples of the substance are being sent to a third-party laboratory to determine what it is, Riel said. Riel told The Daily late October that reports of mold are typically followed up by a visual inspection and passed off to a third party to test the space for mold. Most of the time, the third party company determines nothing is there, he added. Students living in Plex also encountered mold in their rooms and said they thought the University did not properly address their concerns. In Plex, Riel said, the reports of mold were ultimately cleared after one room was tested and results came back negative. “We haven’t seen anything (reported) since that one test,” he said. Riel said staff was sent over to CCI to clean them with an inhibitor product. Students also had the option of being relocated or having their linens washed, but no one accepted the offer, he said. Weinberg freshman Ulyana Kurylo and McCormick freshman Alex Nica said they did not receive these offers. Though he received his mattress back after it was cleaned, he said he does not feel comfortable sleeping on it. “I don’t think they’re clean yet,” Luca said. Other students in CCI echoed Parikh and Nica’s concern that disinfecting the mattresses is not enough. On Monday afternoon, Riel said the results of the test will likely be determined within 48 to 72 hours.